So why a foodie gets into fashion. To be frank that’s irrelevant in a multitasking ever evolving blogging vertical. So let me thank Ruchie from wigglingpen who with her Fashion-a-thon #NYtrain who helped me in stepping into this new zone by making me a part of this challenge. And thanks to Nisha from highongloss who nominated me to post a blog next on the New Year fashion train and this is hopping blog stations till 31st Dec.
Before we move on let me run you through all the blogs in this #NYfashionTrain so far with Links Style like Bollywood by Ruchie from Wigglingpen ,Fashion fusion Indie chic by Dipika from Gleefullblogger ,Ethical fashion the new black by Shreemayees from ShreemayeesDiary , 5 offbeat outfits for New Year fashion by Nisha from Highongloss. What food is to a healthy body that’s what fashion is to a happy us. It defines our style, our personality and does most of the talking before we speak. And it moves beyond just the clothes we wear so I am going to talk of beauty & style in vogue in 2018 with hair colors & hair styles in colored hair being the new fashion trend. Before I move on to New Year, Today on Christmas let’s start with some cool nails featuring the classy colours Red ,white & green .Universally, red stands for passion and we women love red from our lip color to nail paints to those rosy cheeks , we go red when we blush, we go red when we are embarrassed, we go red when we are in a mood to kick the hell out of others. I guess a women must have inspired Santa Claus to go red and white. Frankly I am just cooking it up , well Red and white Santa Claus is a strong fashion marketing campaign…it came into existence when an International beverage company -Coca Cola took over the market with its fiery red and peaceful white logo. Now if you tell someone that originally Santa wore a Green no one will easily belive. But the fact is It’s Coca Cola who created a red and white santa ( see F&B had always influenced fashion). No fashion show is complete without an after party. I just loved this quote from a friend that’s so defines us. So the quick tip to style up this Christmas is pick red , green and white do your nails, your hair and your make up before its New Year eve of 2018. Here you go with the DIY Nails this Christmas if you really don’t want to over do by wearing red. After all Christmas is not just about a day in a year so go stylish, go wild and flaunt a style that you feel comfortable in. I would love to see your pics in comments if you go for any of these. Or whatever you create. 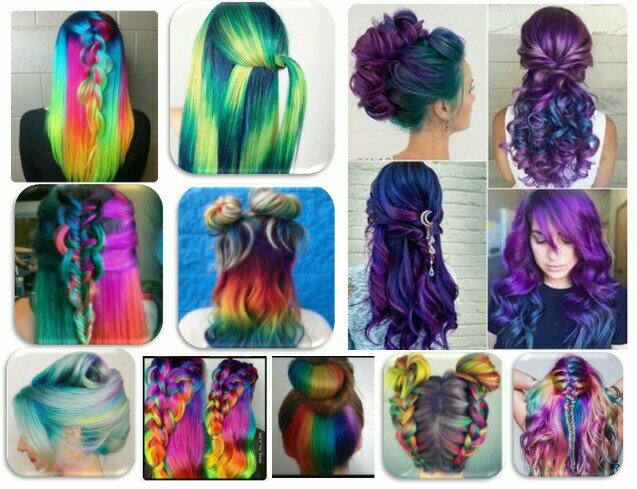 As the title speaks of COLOR TO DO THE TALKING , so what i am going to speak about is the hair colors , so let’s move on to color Hair trends in New Year 2018. 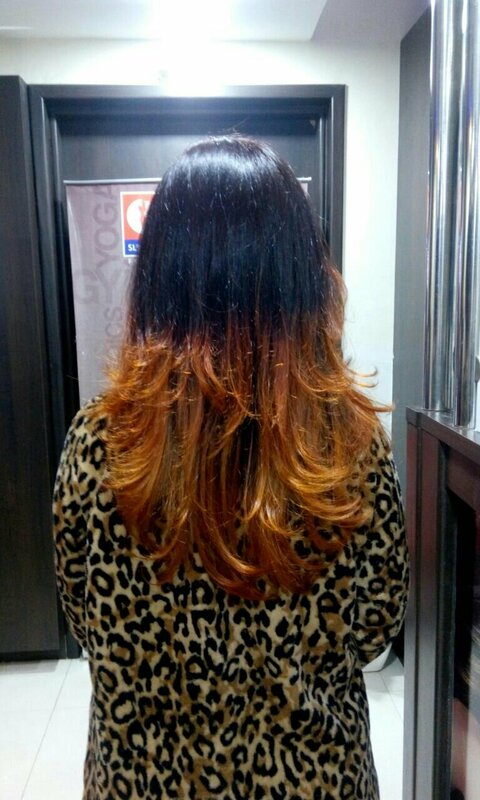 Hair color is more in vogue these days than the hair cuts and styles. Color palates that were so far used to sell High Definition LED’s and Mobile screens or may be Camera phones have come alive may be I should say Plasma colors have transformed on hair protein that’s fluid in motion in solid state. In year 2018, people will change their hair color just like their clothes. And we will get to see more than ever colors all around, leaving us to wonder this is really cool and off course a tough choice to make which color to go for. With new hair color trending across age groups more Hair styles will come in play with simple braids , french braid, multiple braids with sections etc & will look more stylish than ever before. And off course keep them loose open or slightly curl them up will be an easy to carry style. 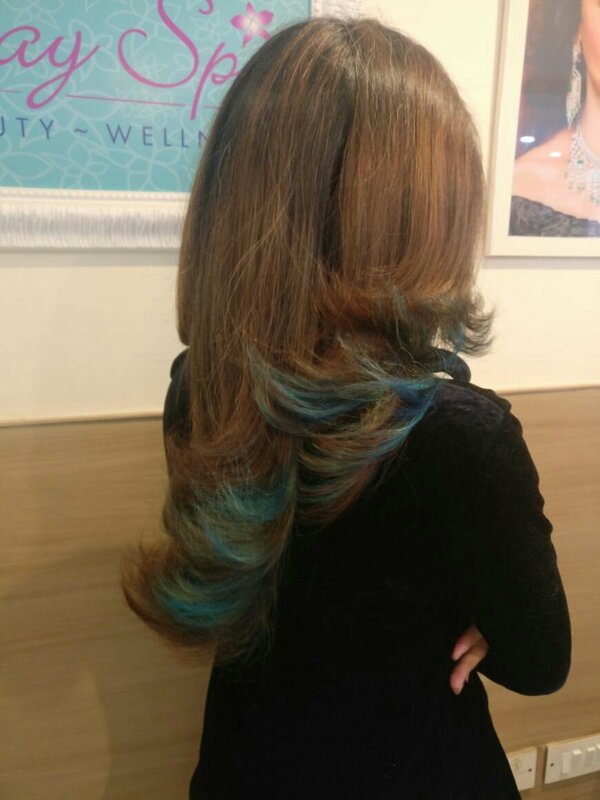 have a look at few curated hair color & styles. Casually styled buns flaunting the chunks in single color is for beginners will evolve to more colors and further more hair styles. 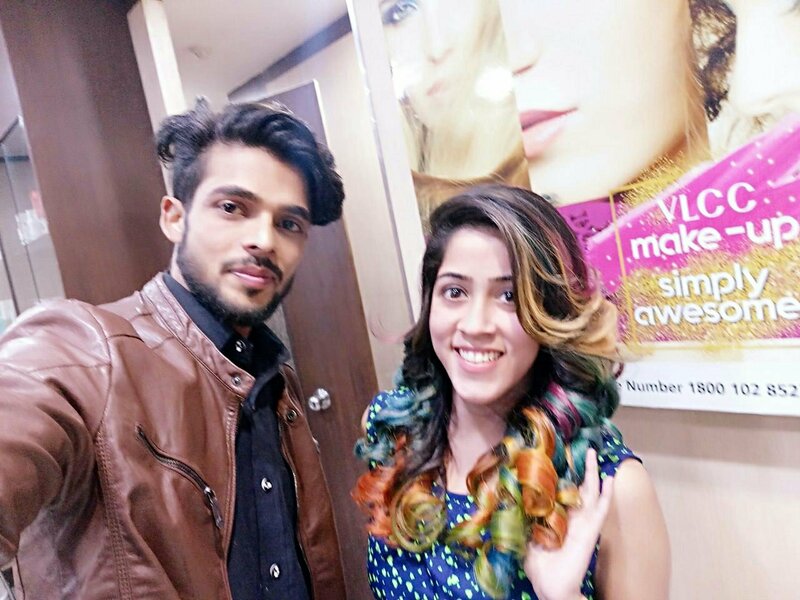 …So here’s few looks from the Hair Competition that happened in VLCC recently setting the upcoming #Stylestatementsforyear2018 under the supervision of VLCC hair Category Head – Rohit Murgai. And these hair colors under the campaign Rainbows colors are selling like hot cakes ever since these got recently launched at all VLCC centre. When I first saw these I was pretty skeptical who is going to get this done. But in last few week I have seen enough and more fashionistas, young college girls , middle-aged aunty’s and even Men ( in beard & hair) endorsing more colors than I have in my nail paint collection. This is a new color trend after the neon colors. In 2018 we will get to see more colors on hair and lot of experiments with colors will happen. Best part about these hair color is they don’t last long and they change a shade after almost every alternate wash so it’s a new hair on you week on week. And you can keep getting new one done or changing the colors once one goes out. 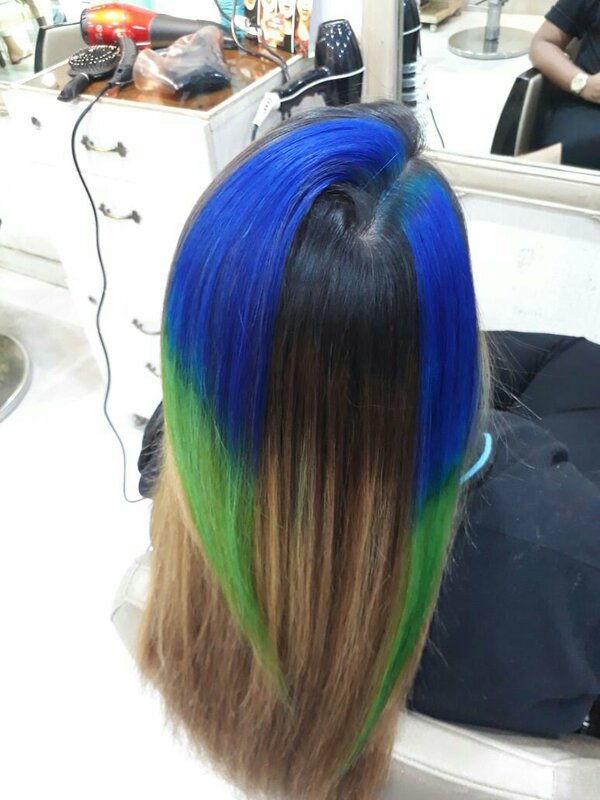 With these Hair colors in trends humans are no far from a chameleon they change color to surroundings and we are changing hair color to be fashionable and trendy with a oooomp of style. With this the #NYFashionTrain has reached the 6th Blog station in its journey and let me take this opportunity to introduce you to the 6th Blogger Ms Manisha Garg from Zarahatk , She is a Market Research professional in the Pharma and Healthcare space who loves writing poem and had been blogging for over a year and is truly loving this and it shows on her blog. I am so excited to see the next blog coming from her. Dont miss to share your love via comments under. 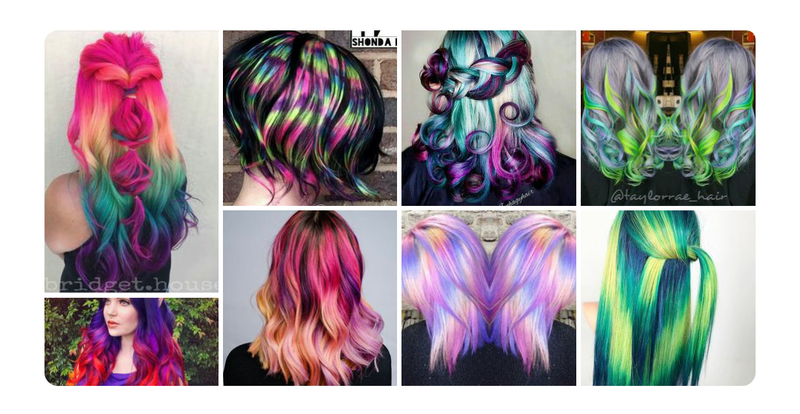 Now these are some really trendy and bold hair colors to go for in NY 2018. 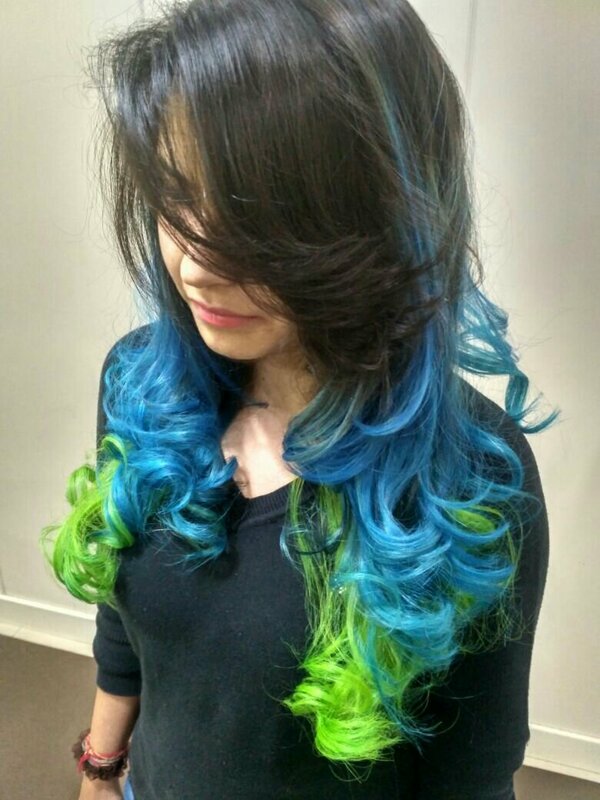 I am awestruck with the bold blue & green highlights. I think this coming year I too shall go for some color in my hair 🙂 . Lovely article. Thanks Nisha , i am happy you liked the blog and got inspired by it. Will look forward to these changing hair trends Arti. Great post. I tried to do a nail art yeat just as an experiment failed so went back to a simple one. Wonderful post love them all. I am not too much into color experimenting.. and I feel at loss now. Seeing all those pretty shades. 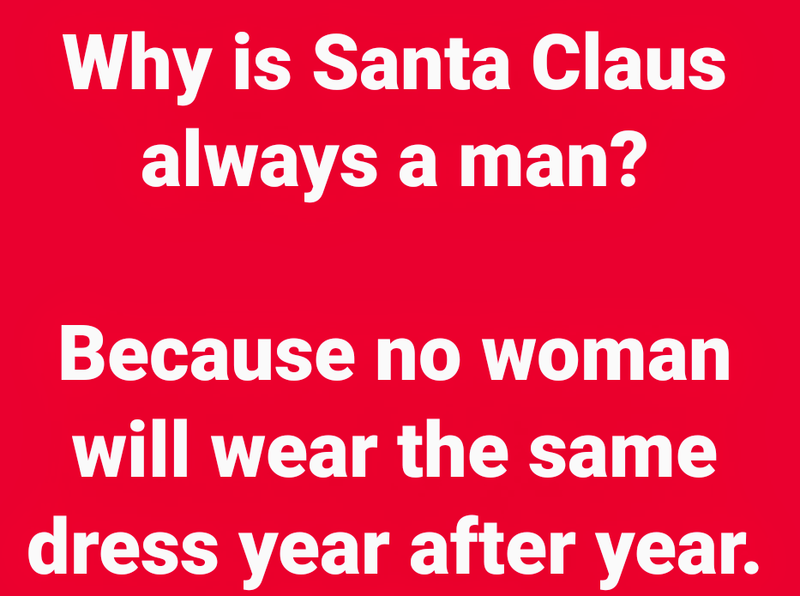 Santa can’t be a lady meme – hilarious!!! Those are really hatke hair colors and I think they might have been all the rage in 2018. Wow just awesome dear. I do experiment with hair but yours is a sixer! 🙂 Will try on my hair few shades. 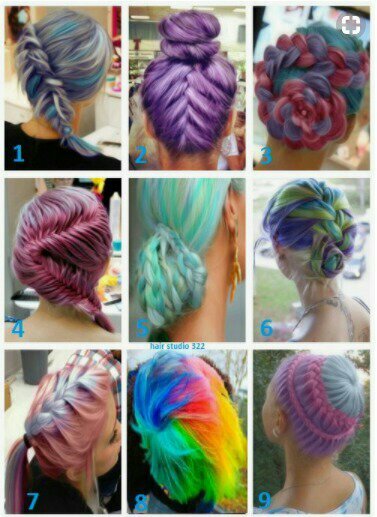 Awesome post on hair coloring and styles.. wish i was bold enough to flaunt these..
How much did it cost and what is the type of hair colour? Chunk, panel or edge?